March 2015 saw series one of the latest adaptation of Poldark broadcast on BBC Television. Winston Graham's books of life in 18th century Cornwall were first adapted for the screen during the 1970s so this new series brings the Cornish novels to a new generation of viewers. A further five novels were written by Graham with the latest published in 2002. Filming for the second series took place in Cornwall during Autumn 2015. Series two covered two books, Jeremy Poldark and Warleggan. Series 2 of Poldark was screened on BBC One from Sunday September 4th 2016 and ran for ten episodes. Filming for series three took place during Autumn 2016. This series covered material from the fifth novel, The Black Moon and half of he sixth novel, The Four Swans. This series had nine episodes and was screened on BBC One starting 11th June 2017. Filming for season four took place during Autumn 2017. This series had eight episodes and was screened on BBC One starting 10th June 2018. Season five will be the final series. Filming took place in Cornwall during Autumn 2018. The series will screen on BBC One during 2019 but no start date has been announced. 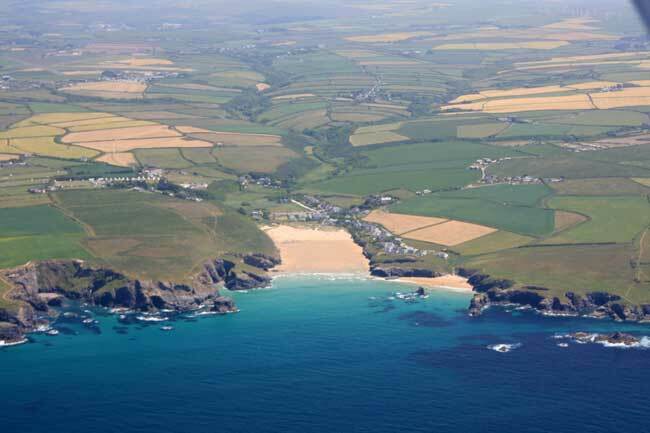 Cornwall was the natural choice for many of the filming locations for the series. The rugged Cornish coastline features prominently. 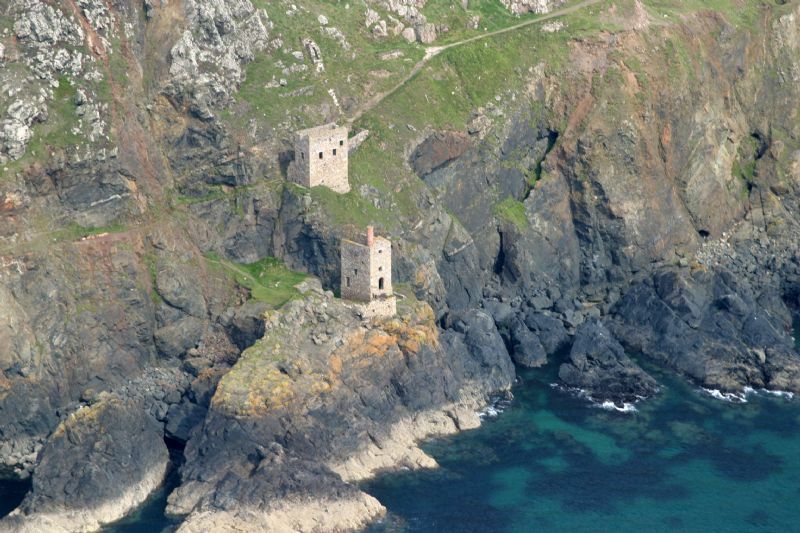 The area of the north coast between Levant and Botallack on the Land's End peninsula including the Crowns engine houses perched precariously on the cliffs above the sea at Botallack. 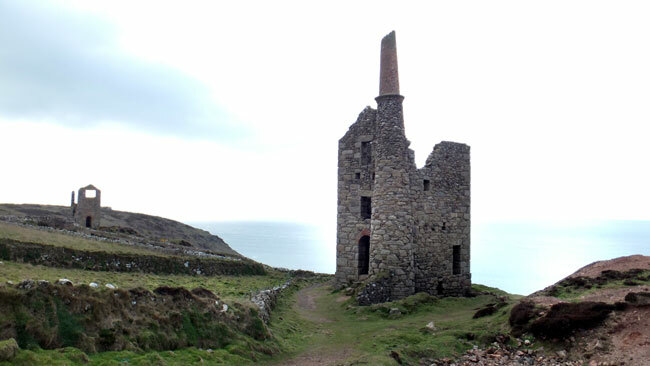 Levant mine became the fictional Tresidder's Rolling Mill with West Wheal Owles (pronounced 'Oals' and from the Cornish word 'als' meaning cliff) appearing as Poldark's Wheal Leisure and the Crowns at Botallack as Francis Poldark's Grambler Mine. 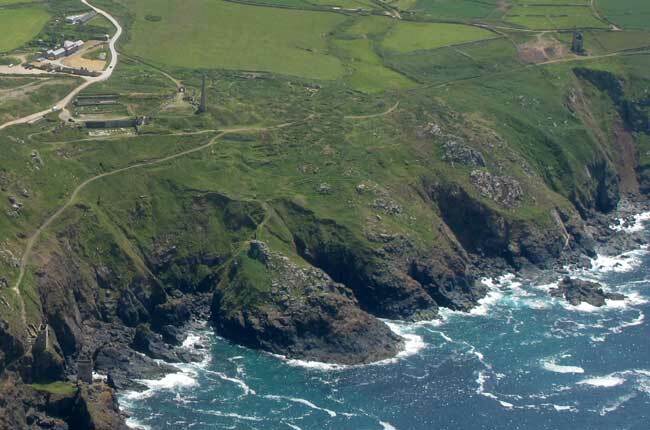 These world famous mines near St Just on the Land's End peninsula plus the magnificent Wheal Coates near St Agnes are part of the Cornish Mining World Heritage Site. 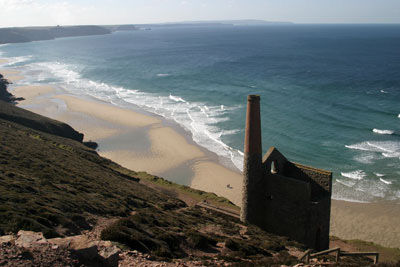 St Agnes Head and the Wheal Coates engine house at Chapel Porth are featured with the area depicting Nampara Valley, part of the Poldark family's estate. 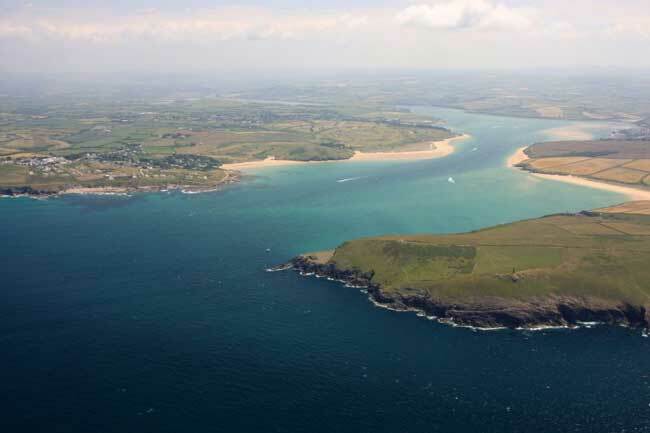 The area around Porthcothan and the stunning Camel estuary were used for some of the cliff scenes. The Bodmin Moor parish of St Breward is the location for the cottage used as Poldark's home, Nampara and for a number of the miner's cottages. 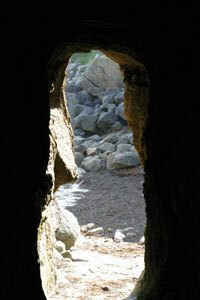 The duel scene was also filmed in this area. Gunwalloe Church Cove features in the shipwreck scenes. This unique cove with its parish church built into the cliff beside the beach is adjacent to Dollar Cove, a real-life wreck location named for the silver coins which can still be washed up on the beach. 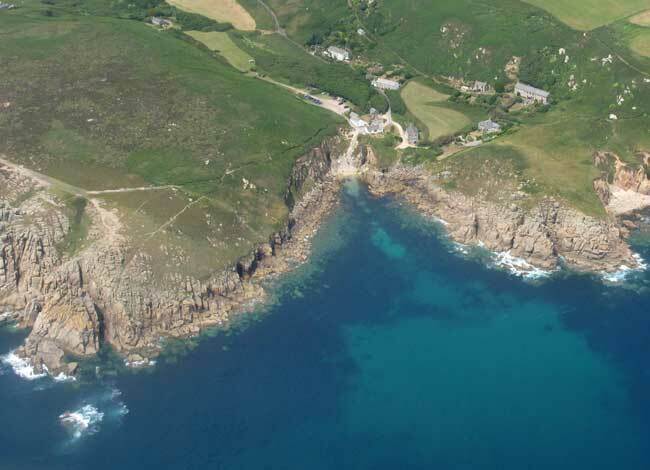 Porthgwarra on the south coast of the Land's End peninsula features in the bathing scene (Episode 2) and bringing in the catch of pilchards (Episode 4). 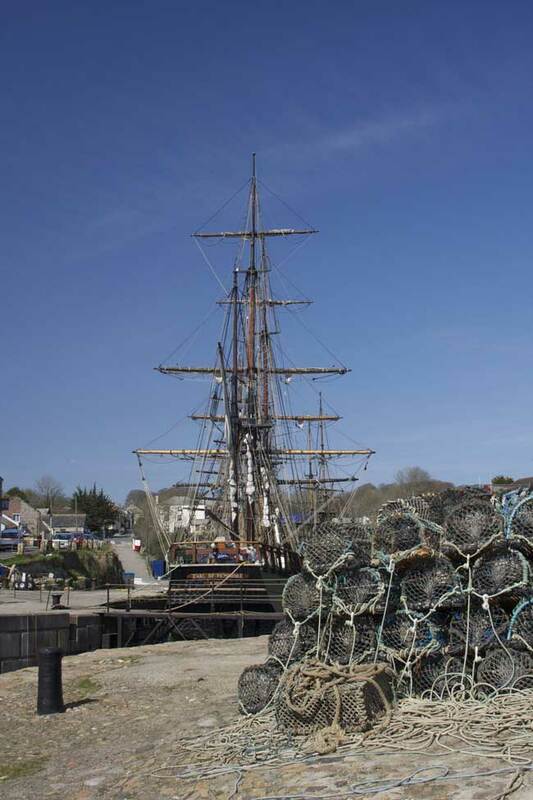 Charlestown is a historic port and the home of several tallships featured not only in Poldark but also TV series such as Doctor Who and in feature films including The Eagle has Landed and The Three Musketeers. For the filming of the second series a number of new locations in Cornwall have been added including Kynance Cove, Porthcurno, Holywell Bay and Penberth. Series 3 is being filmed from September 2016. Series 3 will introduce several new characters, Demelza's brothers, Drake and Sam played by Harry Richardson and Tom York, and Morwenna, Elizabeth's cousin played by Ellise Chappell. Locations used so far for the filming of series three include St Agnes Head, Hawker's Cove near Padstow, Turnaware Point on the Roseland, Botallack near St Just, Gwennap Head, Penberth, Porthcurno, Church Cove at Gunwalloe and Holywell Bay. This new adaptation begins the story with Captain Poldark returning from the American War of Independence to find his family home and his mining interests in ruins and the love of his life preparing to marry another man. 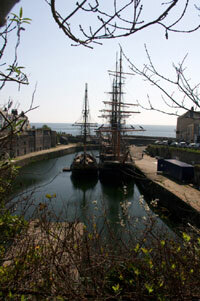 And Aidan relished his time filming in Cornwall. "Not really. I don’t want to let people down, especially fans of the character , but I don’t think it’s productive to think about how you can disappoint people. We took our inspiration from the original novels by Winston Graham and Debbie Horsfield's scripts. "The fan base of the 1970s adaptation of Poldark is very supportive, they have been very generous and kind and genuinely excited to see what we have done with this. It’s like breathing new life into it. But we need to remember that a lot of people haven’t seen the previous adaptation as it was 40 years ago, and there’s a lot of people that won’t have heard of it either!
" It was very hard, and being from East Yorkshire I had never really ventured to Cornwall as a kid so that was a continual experience for me as well. I worked very hard with the voice coach who was fantastic and so helpful. With Demelza’s accent, she never loses it but she tames it a little bit – I was anxious that she never totally becomes a lady, she is never like Elizabeth and I wanted to keep that trueness to her roots. "The accent is hard to master and the Cornish people are so passionate about Poldark, they’re going to be listening for the accent and want it to be perfect. "I learnt about how their jaws were a lot tighter because of the wind, and living so close to the sea, the salt makes you speak in a different way. They clench their jaw tightly so you get a completely different sound. One of the main things I found hard was that the language is like Old English, they use words we haven’t even heard nowadays." "I had the greatest time in Cornwall – it is so beautiful, I almost can’t believe I’d never been there before. So much of the piece came alive when we were filming in Cornwall and everyone found their character in the outdoors, particularly with Demelza as she is very connected to the landscape. "I also love the countryside and just enjoyed exploring all the different coves and beaches and the endless beautiful blue water, it was so gorgeous. It is such a peaceful and relaxing place." The eight episodes of the first season cover the first two novels in the Poldark saga - Ross Poldark (first published 1945) and Demelza (first published 1946). Aidan Turner has given a commitment to play Ross Poldark for the next five years if the BBC goes ahead with future seasons of the popular drama. 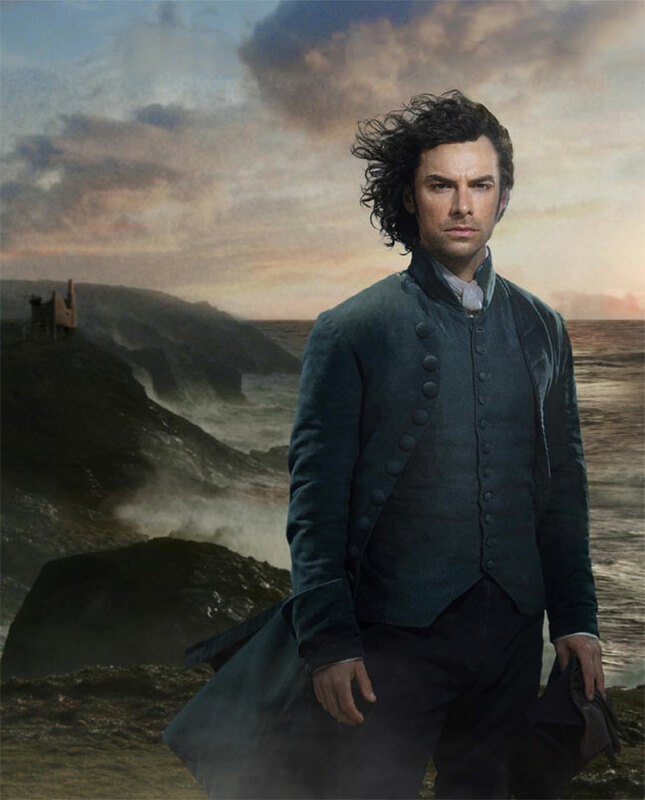 As of March 2015, the producers of the series have already asked Aidan to sign up for another three seasons. Filming on the second series started in September 2015, lasting several weeks and in March 2016 a further 3-4 days were filmed at locations at Holywell Bay and St Agnes Head near Wheal Coates. For viewers wishing to read the Poldark novels all twelve of them are shown below.